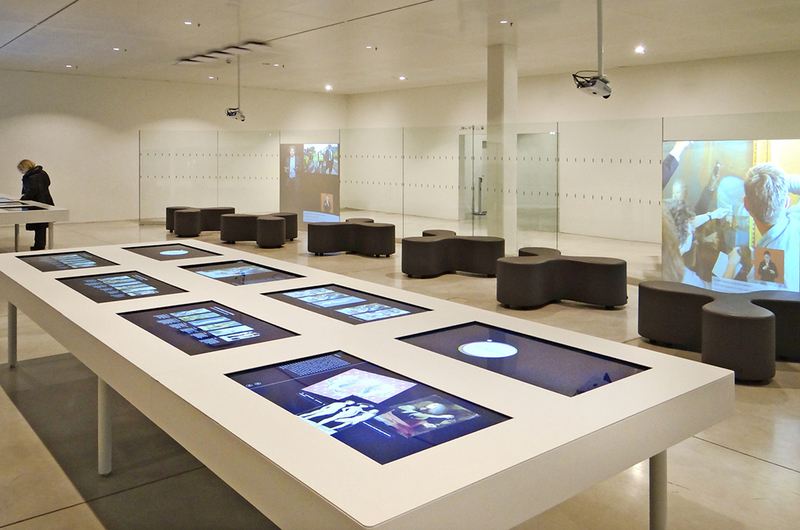 Multimedia occupies a large part of the Louvre Museum Lens and Mazedia has achieved a significant share of interactive devices. Interpretation of the works, discovery of the unexposed collections, the multimedia takes all its dimension in this new jewel of the museums of Art. The interactive devices are composed of large historical frescos, discovery modules using the entire space of a room, relying on real-time 3D, interpretation of works on 24 multitouch Surface tables. They also offer the traceability of the course and the centralization of the contents within a back-office device.